This year is the 100th anniversary of one of the most important experiences in the history of the proletariat in Germany – the November Revolution. One of the few moments in the history of this country in which the working class reached for the power and tried to end the exploitative and oppressive system of imperialism. In the surge of the First World War, in which imperialism showed for the first time on full scale its man-eating and destructive grotesque face and the gigantic fratricide of the proletariat, it caused the working class in Germany to rise up to end the slaughtering. Motivated by the conquer of power by the proletariat in Tsarist Russia during the Great Socialist October Revolution they tried to do it alike the Russian brothers and sisters in the Soviets. The imperialists trembled and the German revisionists – who had sealed their betrayal of the proletariat in 1914 with their approval of the massive slaughter – had to hatch various intrigues to steer the combatting ones onto a calm course. The November Revolution in the last analysis was not a victorious battle for proletariat in Germany on its path of socialism with shining communism as the goal. But the heroic fighters of the proletariat are indispensable part of the revolutionary history of our class, they uphold the slogan: It is right to rebel! Now at the 100th anniversary of this great historic event besides the revisionists of all kinds, also bourgeois historians, liberals and even anarchists are throwing themselves at this part of our history. For this reason it is necessary to uphold, defend and apply the principals that were reaffirmed by the November Revolution to correspond to the requirements of revolution in the struggle of the proletarian revolutionaries in this country. The experiences of the Paris Commune and their eternal principals converge above all in this regard with those of the November Revolution in Germany. However, the situation was a different one. The experiences of the Paris Commune lay back over 50 years and were just implemented successfully in the October Revolution. Through the First World War a revolutionary situation emerged not only in Russia and Germany but it was also the case in other countries. But most of the Parties of the II. International had degenerated, just like in Germany, into revisionist and social-chauvinist Parties. Despite the struggle of the left in the International Communist Movement against it, mainly embodied by the great Lenin. Therefore the leadership of the working class for the conquest of power was also non-existent in Germany at this moment. The Social-Democratic Party of Germany (SPD) had a big influence in the masses of the working class at this moment and was completely degenerated. For this reason it came to the split by the Independent Social-Democratic Party of Germany (USPD), although this was a combination of Bernsteinist Revisionist and proletarian revolutionaries – which were represented by the Group International (in German: Gruppe Internationale). Thus, there was a lack of ideological clarity, i.e. Marxism and the contributions Lenin had made at this point, mainly in the struggle against revisionism. Also the Revolutionary Stewards, who forged plans for the conquest of power at a certain point, did not have the function of an acknowledged vanguard of the working class and they stayed in the USPD. The Communist Party of Germany was only founded on the 1st of January 1919 by Karl Liebknecht and Rosa Luxemburg. Even after its foundation it was a far to young force in the January-Struggles that were breaking out shortly after and it had still to conquer the acknowledgement of the working class. The struggle of the Bolsheviks for a clandestine Party in Russia did not yet echo in Germany and therefore legalism was a still a wide spread phenomenon. The influence of the social-chauvinistic SPD was also expressed in the composition of the newly founded soviets. In many of them but not nearly in all of them the SPD had the majority. 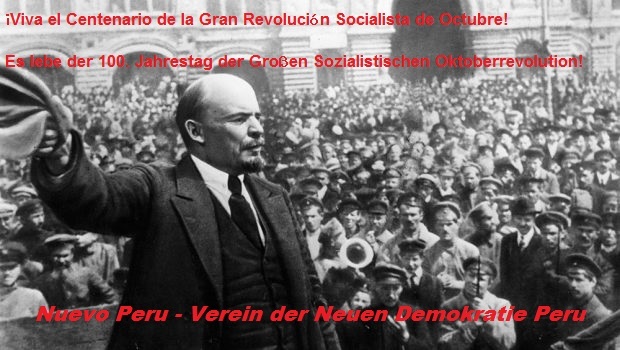 This demonstrates the meaning of the struggle against revisionism – which led to the social-chauvinistic degeneration of the SPD – as one of the most important tasks of the proletarian revolutionaries. Revisionism is the bourgeoisie in the ranks of the working class, that is why it is the main danger for the proletarian revolution. Because it leads the revolution astray while it tries to maintain its revolutionary mask. If revisionism is not exposed permanently in front of the masses in theory and practice there is a danger that it wins or keeps influence in the masses. This way it was possible that during the November Revolution scum like Ebert, Scheidemann and Noske had great influence in the soviets. Noske of all people, who had in January 1919 under his infamous remark “Someone has to be the bloodhound. I shall not shirk the responsibility.” rebels in Berlin slaughtered and who abandoned the trial against the murderers of Karl Liebknecht and Rosa Luxemburg. “So far as I can judge, the position of the Communist Party in Germany is a particularly difficult one. This is understandable. In accordance to all of this the proletarian revolutionaries were not prepared for the spontaneous armed insurgence of the masses. This is an important experience of the proletarian revolutionaries in Germany today. Because it is not enough to talk about preparation for it, in the moment the big struggles of the masses are beginning, like some revisionists in this country still claim. One can not begin to build a clandestine Party only when the armed struggle is initiated but one has to prepare it and themselves. Like Marx said, one does not play with the uprising, i.e. it is to be taken seriously and in which way it is done better than in preparing the revolutionaries and the masses ideological, political and organisational for it. Otherwise the developments of class struggle sooner or later outdo the subjective forces of the proletarian revolutionaries. Well, today the international proletariat has an even richer treasure of experiences than in 1918. We are armed with the ideology of Marxism-Leninism-Maoism, principally Maoism and the universally valid contributions of Chairman Gonzalo i.e. Gonzalo Thought. We got as a part of it the universal military theory of the proletariat, People’s War. Of course no one can blame the revolutionaries and masses of 1918 for not having this mean, but the teachings we can draw from the November Revolution, the principals that were confirmed then were reaffirmed again and again. Therefore today we got an even more advanced ideological foundation then ever before. What matters is to uphold, defend and apply, principally apply it. This way the proletarian revolutionaries in Germany are able to create the organisational foundations for the organised vanguard of the working class – for the reconstitution of the Communist Party of Germany – on a correct political line. 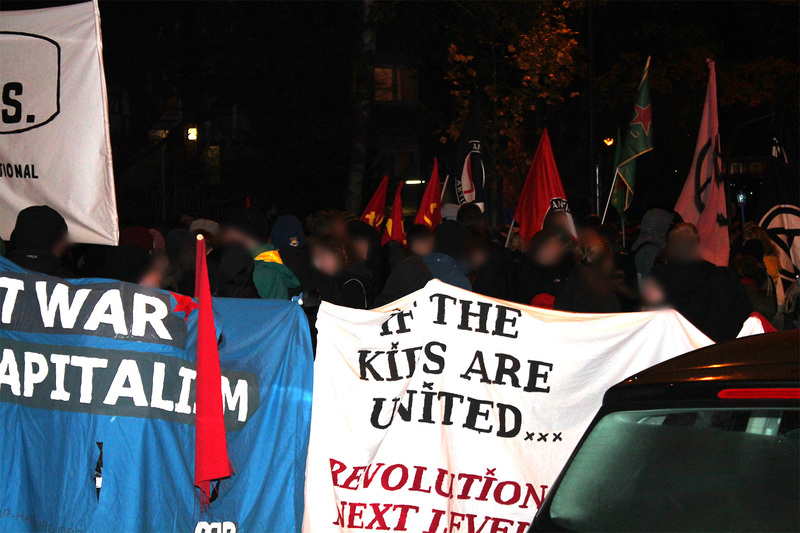 Therefore all work of the proletarian revolutionaries in the FRG today has to aim at it, in the closest solidarity with the International Communist Movement – always upholding proletarian internationalism. To talk about of firstly winning over the masses and put the Party secondly is to turn the whole thing on its head and leads towards revisionist standpoints like quantity before quality. We would run the risk of becoming marsh inhabitants - to paraphrase Lenin. 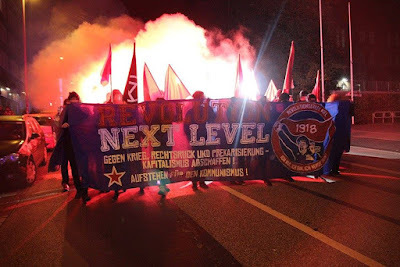 Therefore the 100th anniversary of the November Revolution is one reason more to raise the slogan: For the reconstitution of the Communist Party of Germany! Glory to the fallen heroes, long live the revolution!